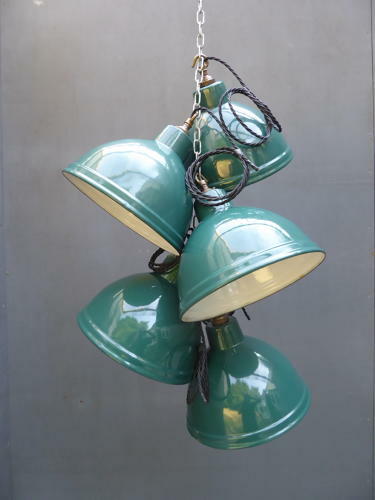 Original vintage industrial pendant lights in green & white enamel. Good honest industrial pendants of excellent form which are the perfect size for home use & display well individually & in numbers. Five available, priced per light. Wear commensurate with age, good overall with just the one notable chip to one shade which does not detract. UK delivery available at £10 tracked & signed for 24 hour delivery.